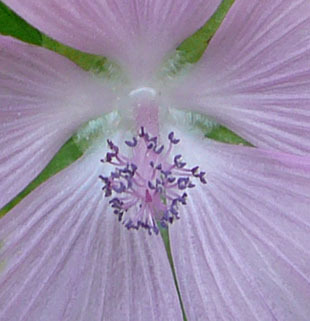 fields and pastures, and by roads, canals and rivers. 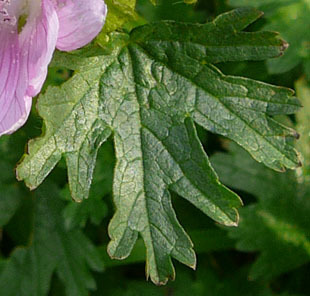 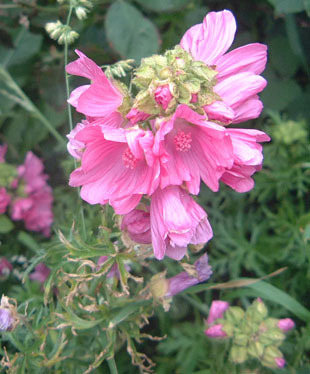 Musk-mallow is a native, perennial herb growing up to 80cm. 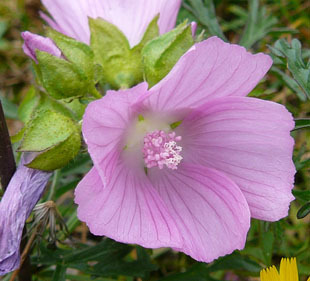 Flowers are strikingly, rose pink and up to 6cm. 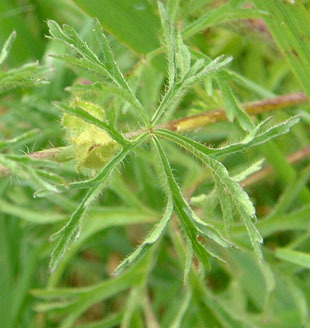 anthers inserted below the ovary. 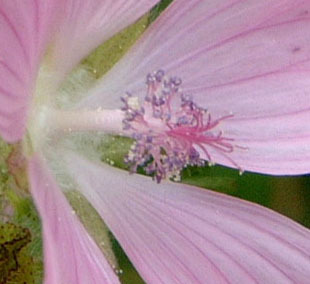 There are numerous styles and stigmas above the stamens.